Charles A. Wood, Looking back on a TLP. Sky and Telescope. Dec. 2013, pp. 54-55. A Transient Lunar Phenomenon (TLP) is a short-lived unexplained change in the normal appearance of a localized area of the Moon, and can include coloured and colourless glows, grey shadows, brightness changes and obscuration of detail on the lunar surface. One long standing debate in lunar science concerns whether these phenomena are real physical events in the vicinity of the lunar surface, or just observing artifacts or misinterpretations. During a couple of nights in late 1963, experienced observers at Lowell Observatory Flagstaff, Arizona made two of the most famous observations of TLP known as The 1963 Aristarchus Events. 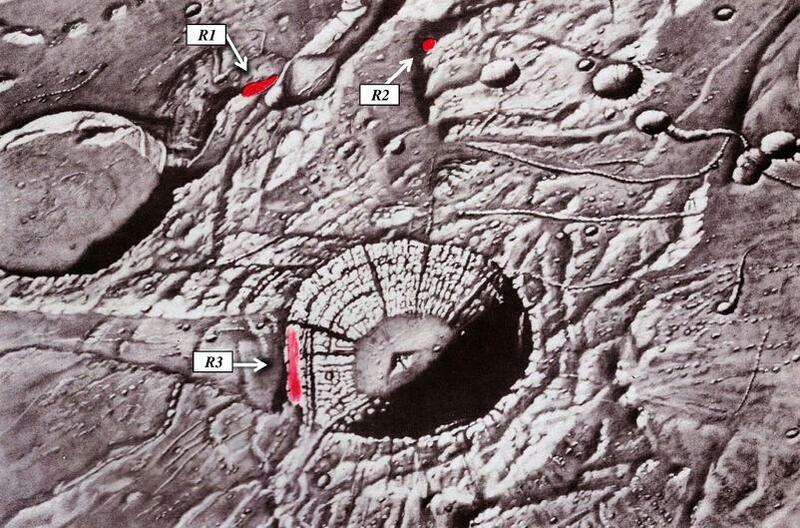 After five decades we re-examine the background and reliability of these observations and discuss possible terrestrial and lunar explanations for what was seen. 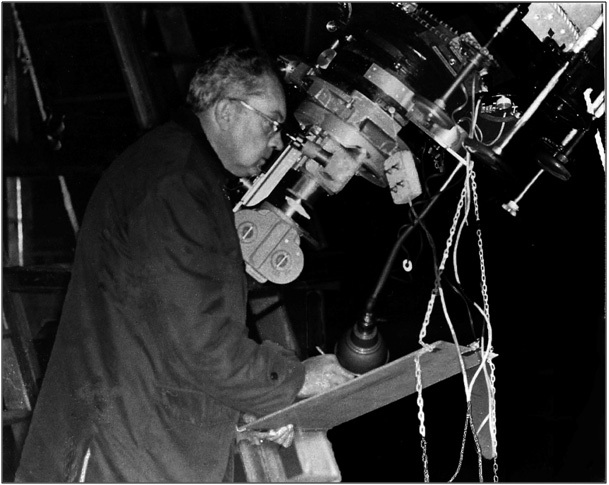 James Clarke Greenacre charting the lunar surface in the early 1960s for Project Apollo at the 24-inch Clark refractor, Lowell Observatory, Flagstaff Arizona. Greenacre was the lead observer and official USAF spokesman for The 1963 Aristarchus Events. (Image courtesy Greenacre Family). Figure 6. 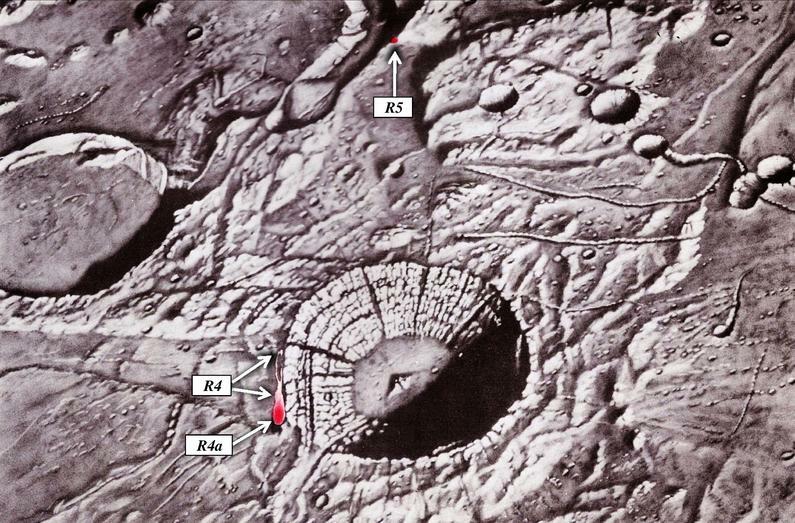 Airbrushed chart identifying the locations, sizes, shapes, orientations and colours of the R1, R2, R3 TLP on 1963 October 30, IAU directions, North top right. This rendition was produced by ACIC scientific illustrator Patricia M. Bridges. Bridges noted she rendered the TLP with a great deal of input from Jim Greenacre and Ed Barr. (personal communication 2010). The solar illumination in this depiction is somewhat lower than that experienced by the observers on this night. NOTE: Baseline seeing was very poor (2) improving to better moments of 3-to-4 on USAF lunar seeing scale of 0-10. Event duration: 25 minutes. Lunar altitude range: 29 to 33 degrees. Magnification ~500X or ~21X per inch of aperture with zoom eyepiece providing ~430 to 1050X. 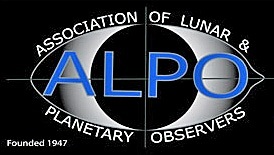 According to USAF Lowell site director, William D. Cannell, "0 to 4 comprise the seeing range for the majority of the time" for the Apollo lunar mapping work done with the 24-inch Clark refractor. He also noted "We normally use a magnifying power of 500 ...". (1962 reference link). 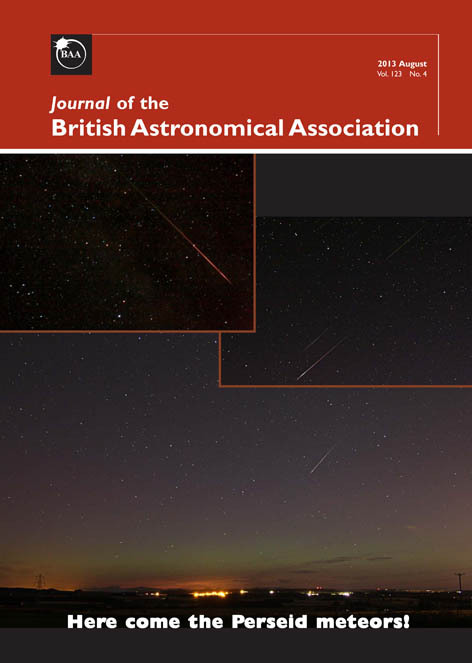 Also see Chuck Wood's August 25, 2013 LPOD discussion of this night's observation. Figure 10. This Bridges rendition depicts R4, R4a and R5 TLP on Nov 28 in the same manner as was carried out for Figure 6 for the Oct 30 observation. The illumination here is higher than that seen by the observers during the reddish TLP episode on this night. NOTE: The four observers involved this night were Jim Greenacre, Fred Dungan, Ed Barr and Lowell Observatory Director John Hall. Event duration: 75 minutes. ​Seeing: became mostly "excellent". Lunar altitude: 25 to 39 degrees. Magnification: unknown. See Oct. 29, 2013 LPOD for our discussion of some observational anomalies on this night. 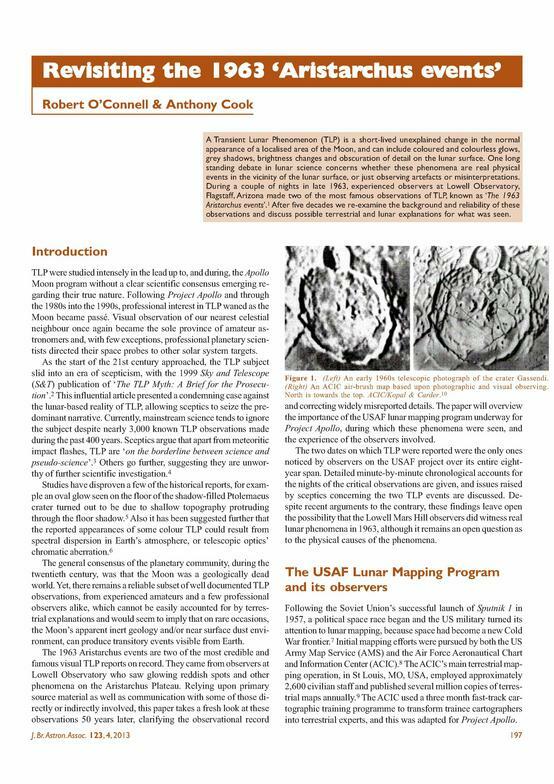 Below are Figures 6 and 10 from the paper with partial captions depicting the reddish TLP seen in Oct. and Nov. 1963 at Lowell Observatory through the 24-inch Clark refractor. Additional notes have been added in white text. Web site © 2018 R. O'Connell and A. Cook. All rights reserved.